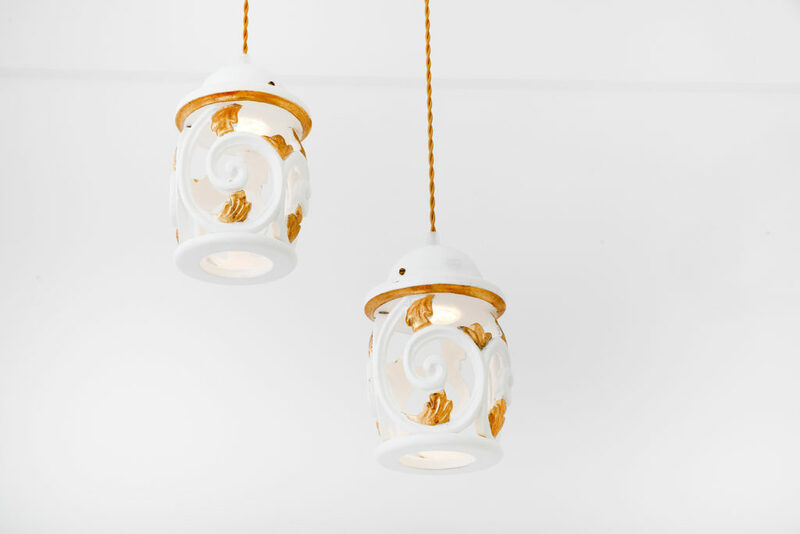 Every room: pure finesse. 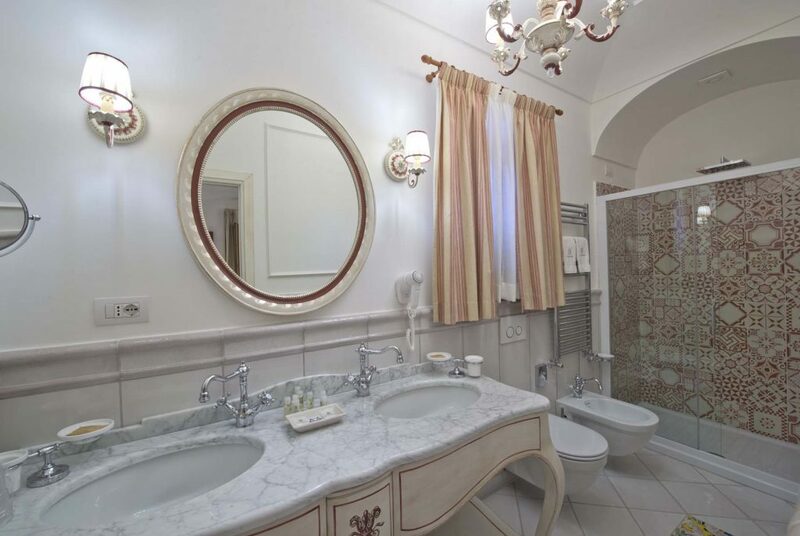 A masterpiece of distinct Italian design and luxury. 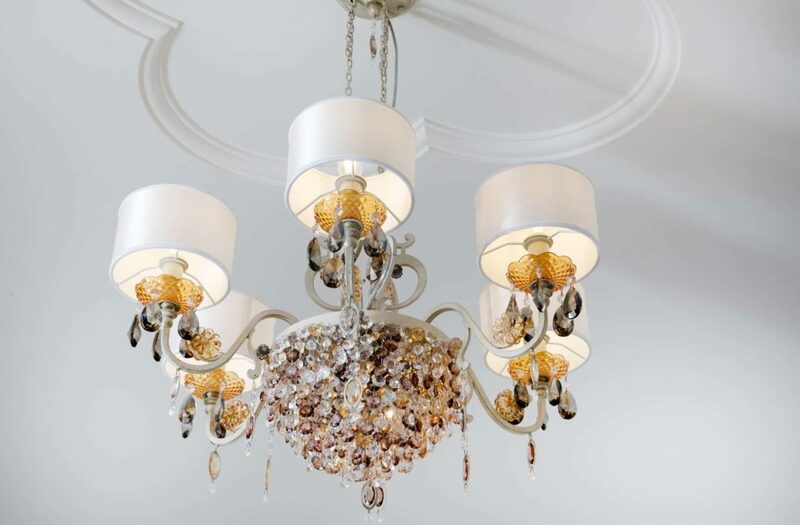 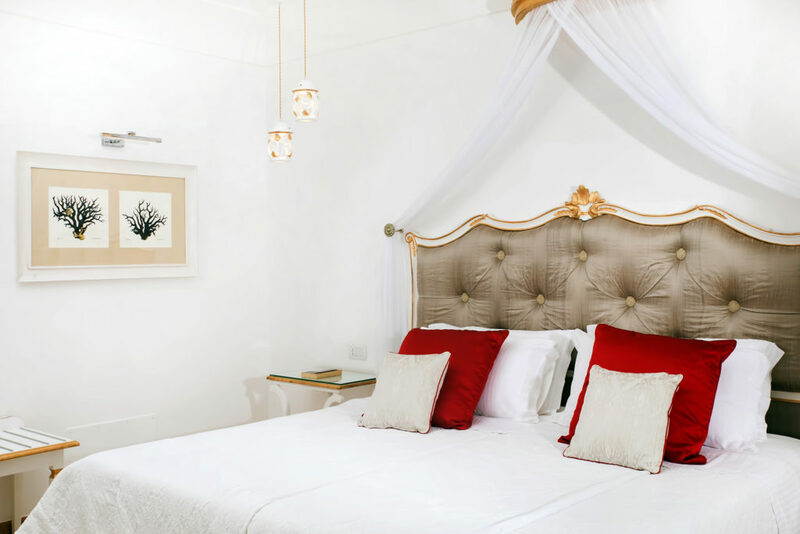 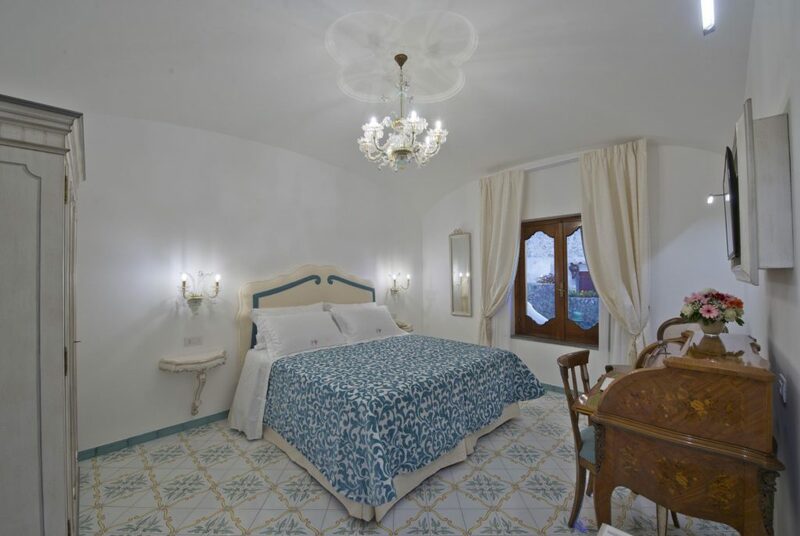 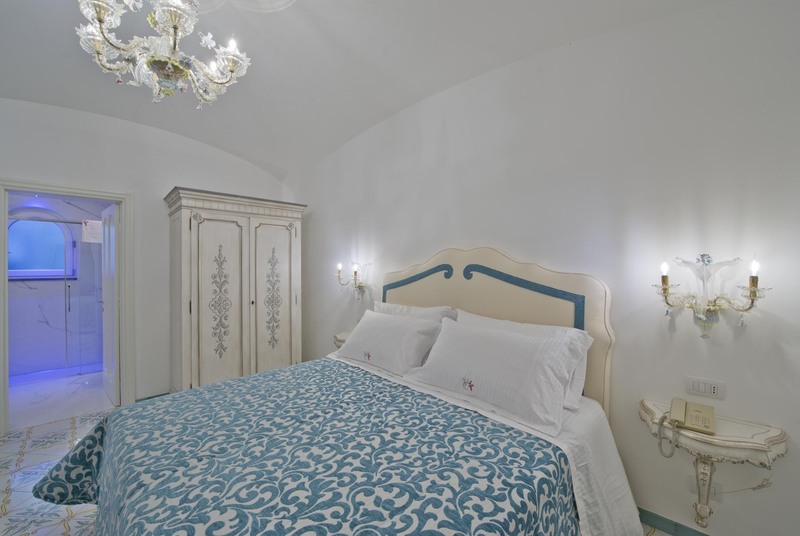 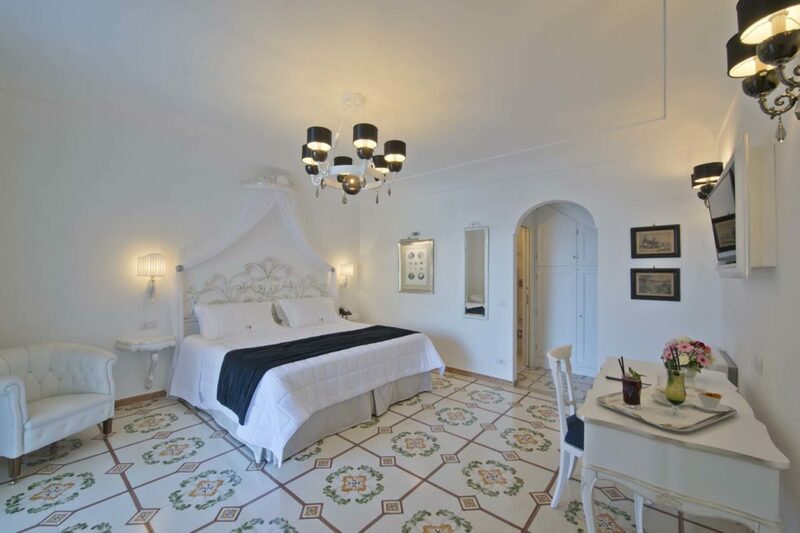 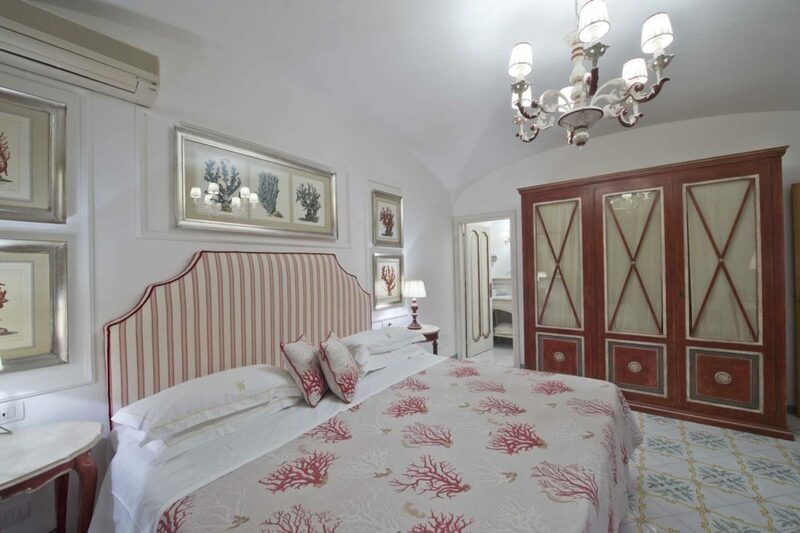 The Milano Family villa has been turned in 6 modern yet classical style rooms of the Villa Corallium. 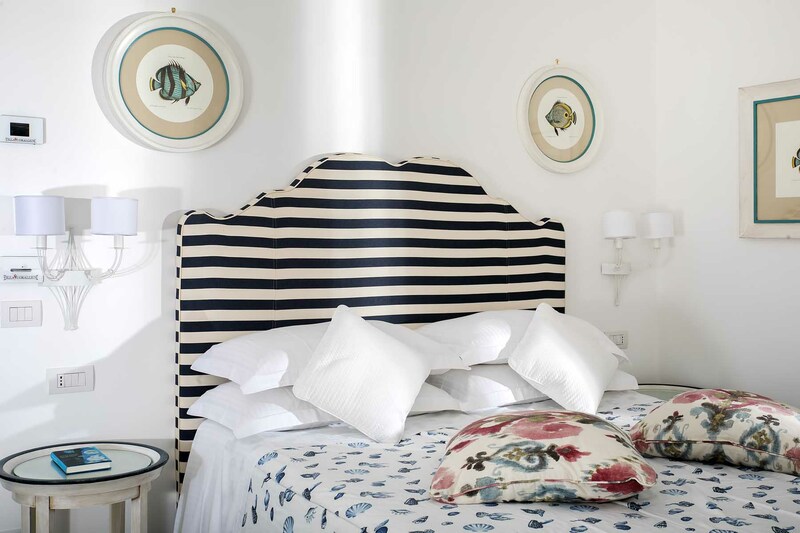 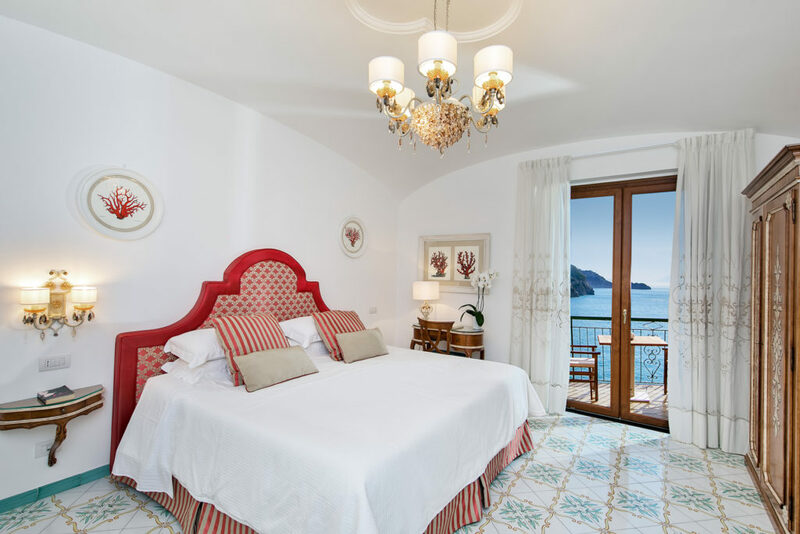 Furnished with attention to detail and a promise: that guests will sleep peacefully here, lulled by the gentle sound of the waves lapping the shores below. 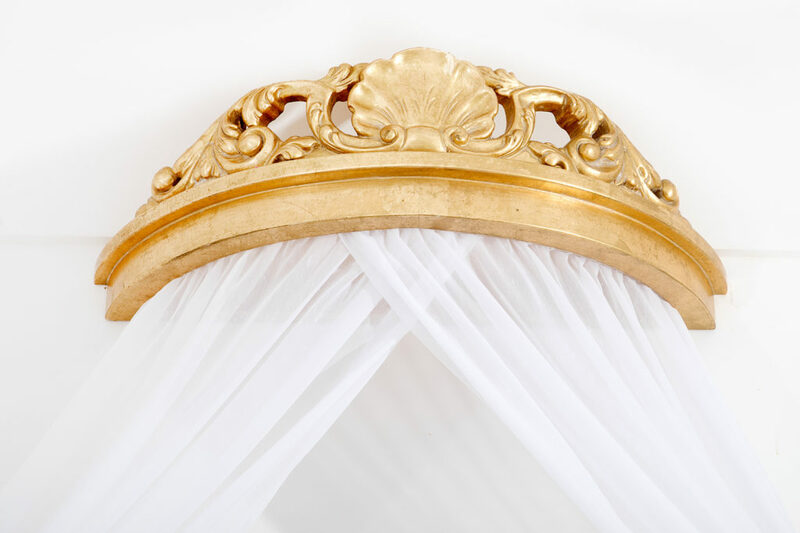 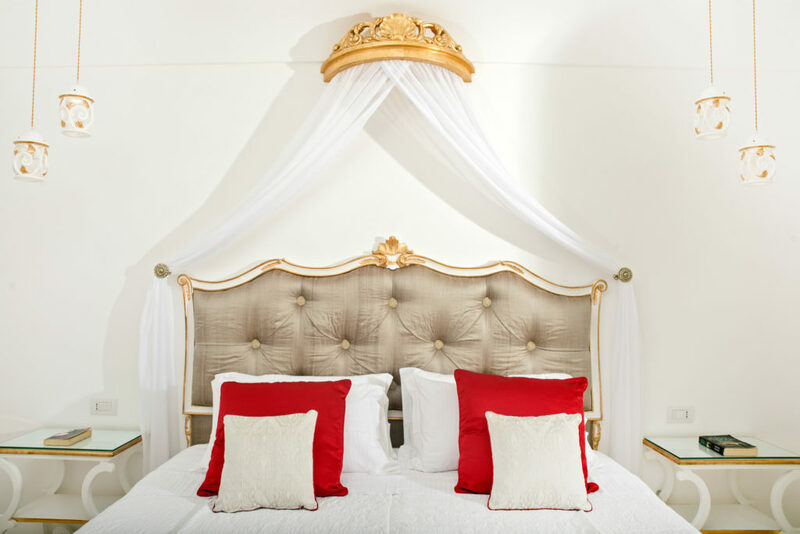 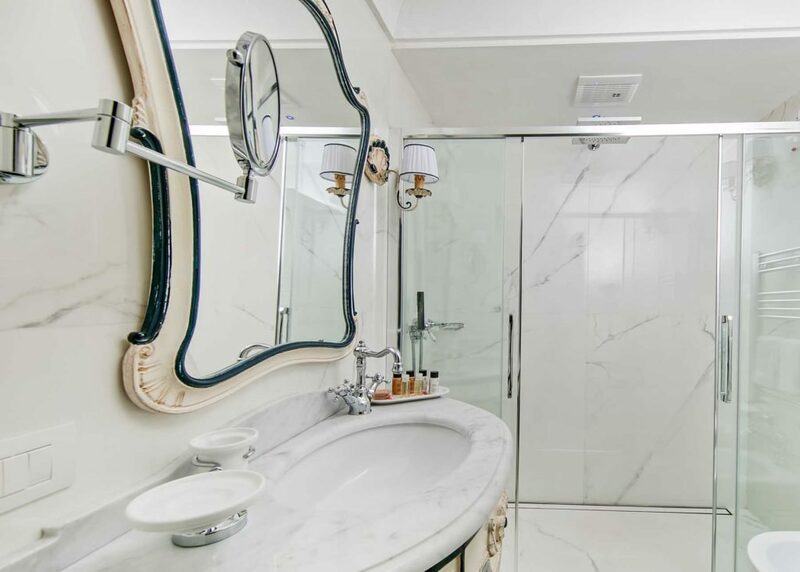 The deluxe room is the perfect choice if you are looking for a romantic experience. 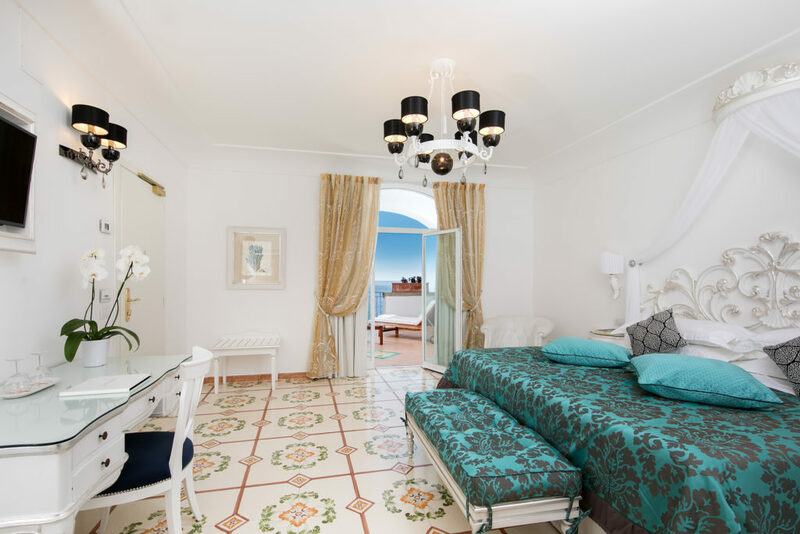 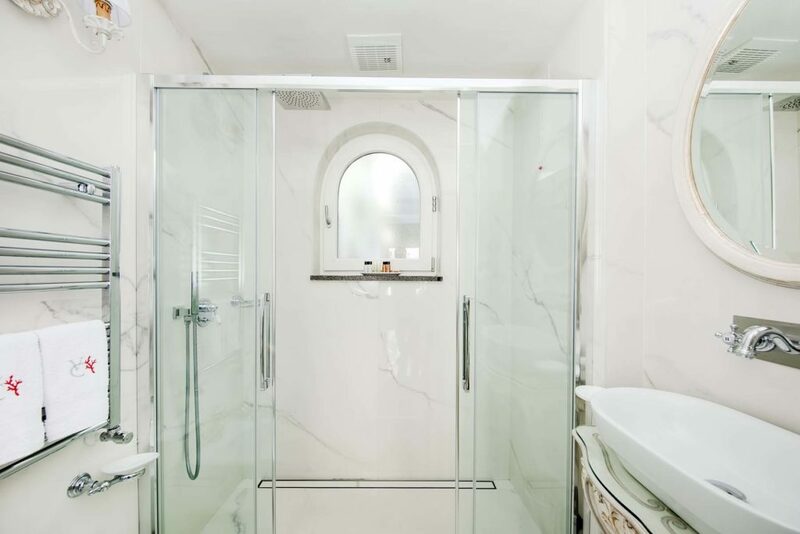 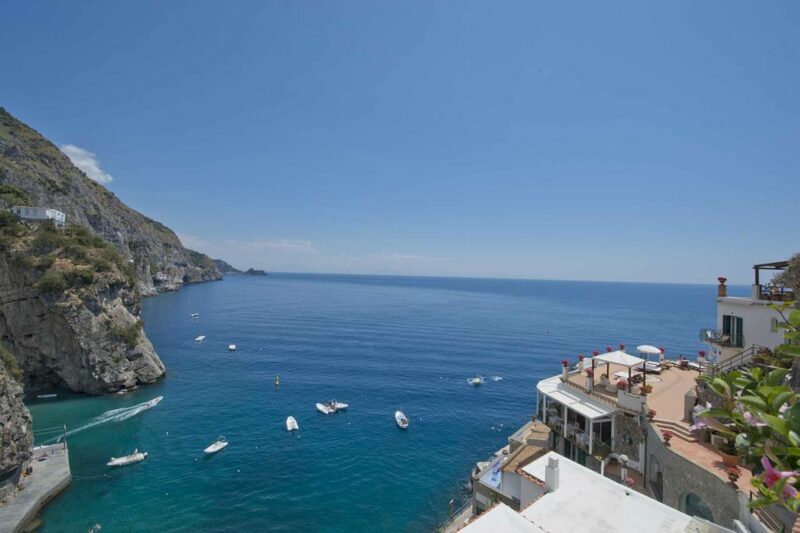 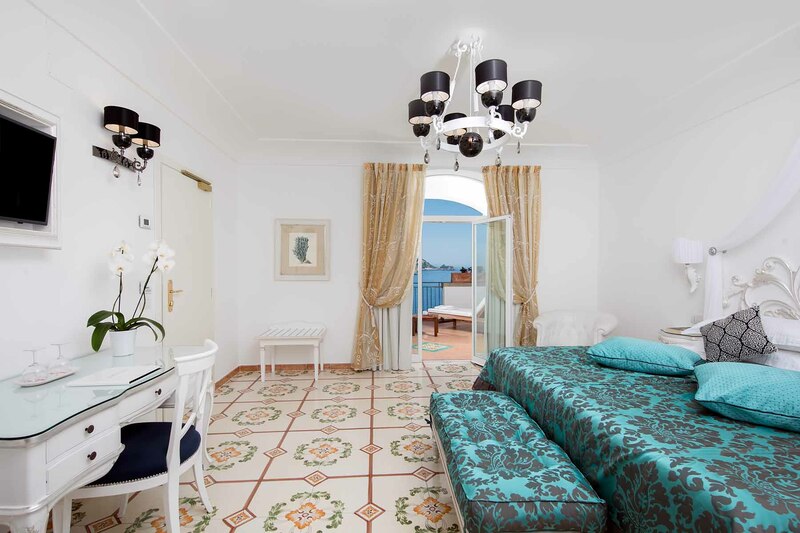 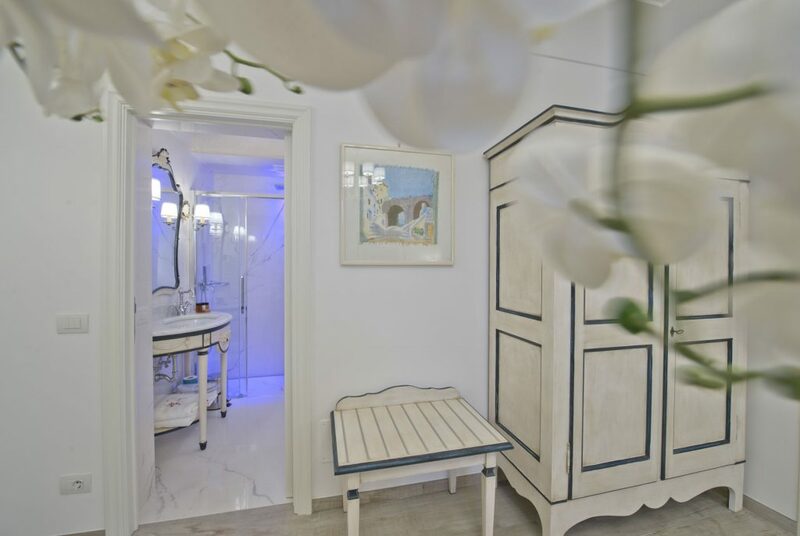 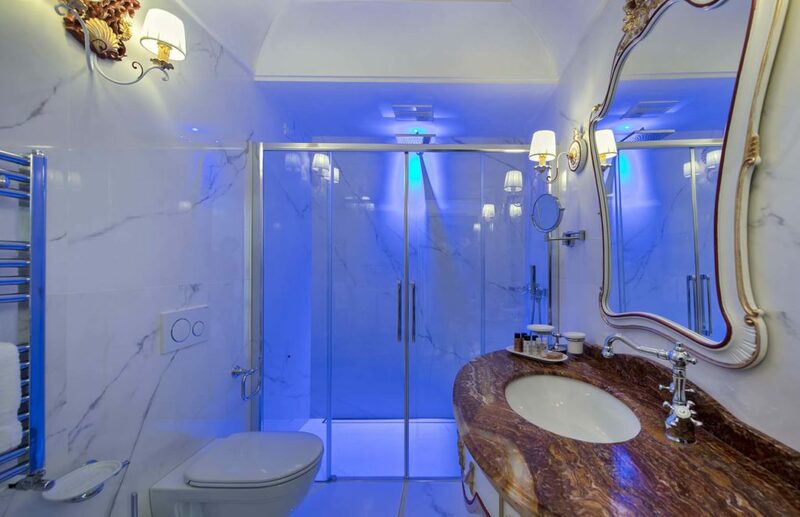 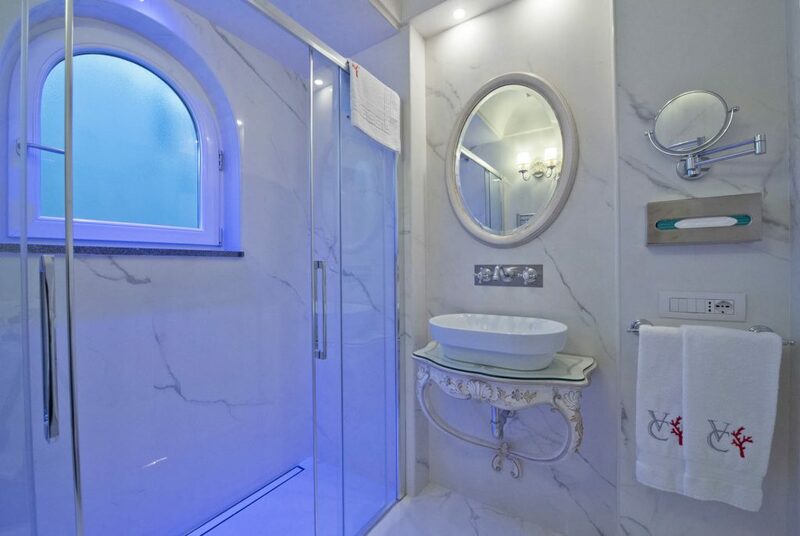 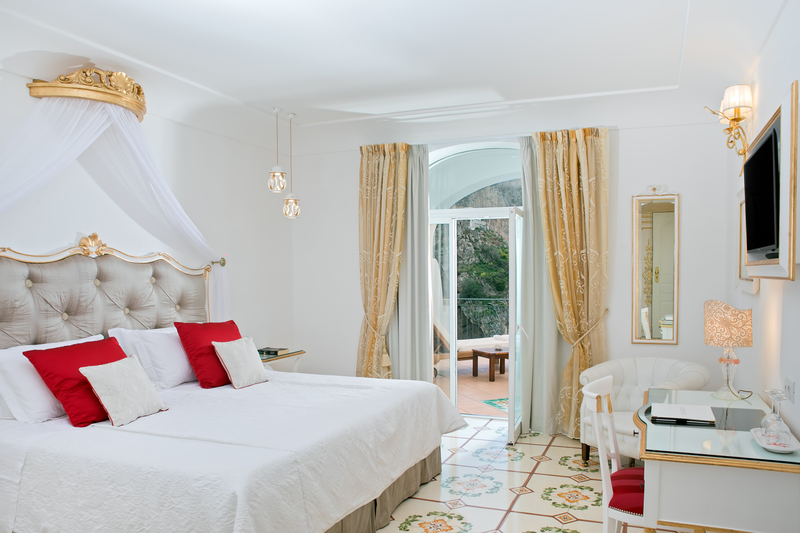 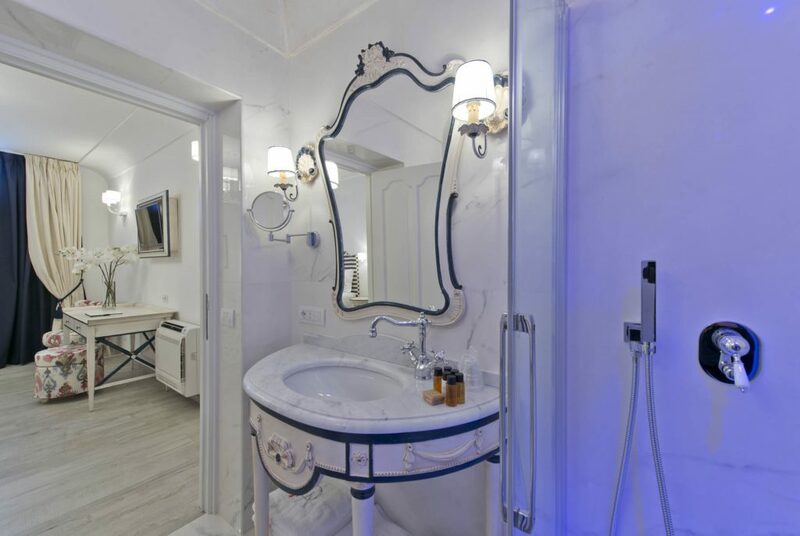 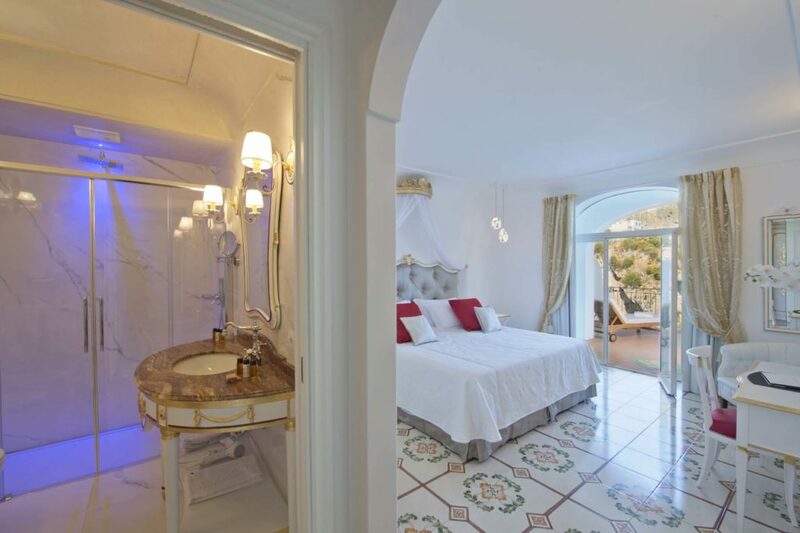 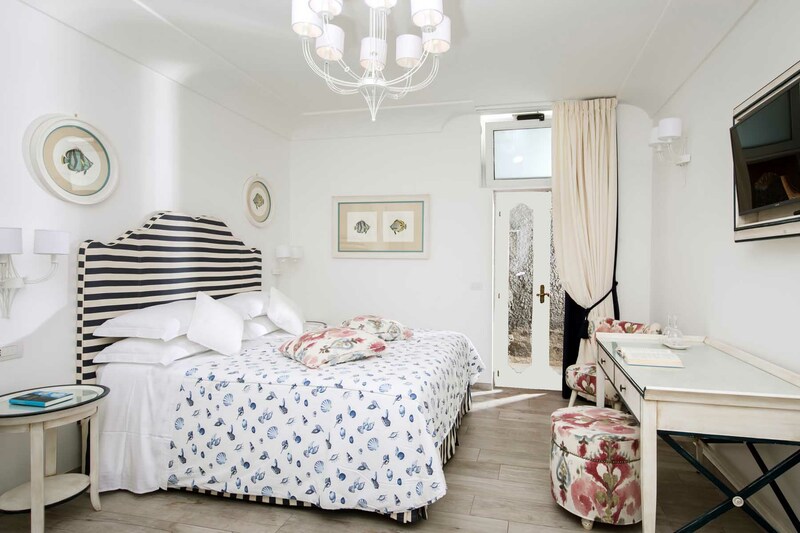 You will dive in the colours of the Amalfi Coast, walking on majolica floors from Vietri. 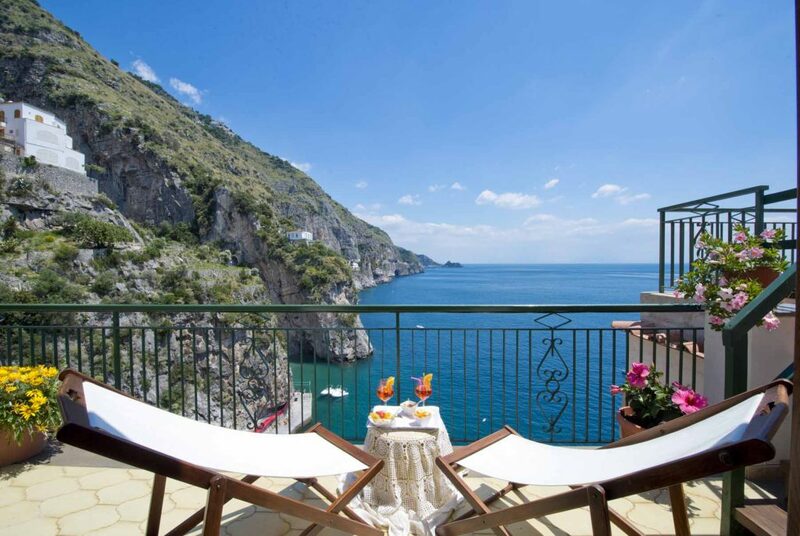 You won't stop staring at one the most spectacular landscapes in the world once you will be sitting on your terrace. 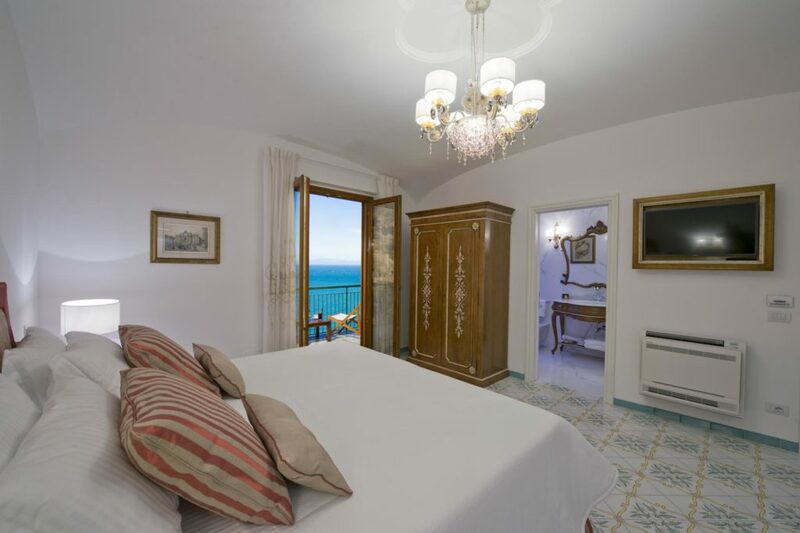 Every room offers a private bathroom, free wi-fi, sat-tv, safe, minibar and air conditioning, and they all boast a sea view terrace. 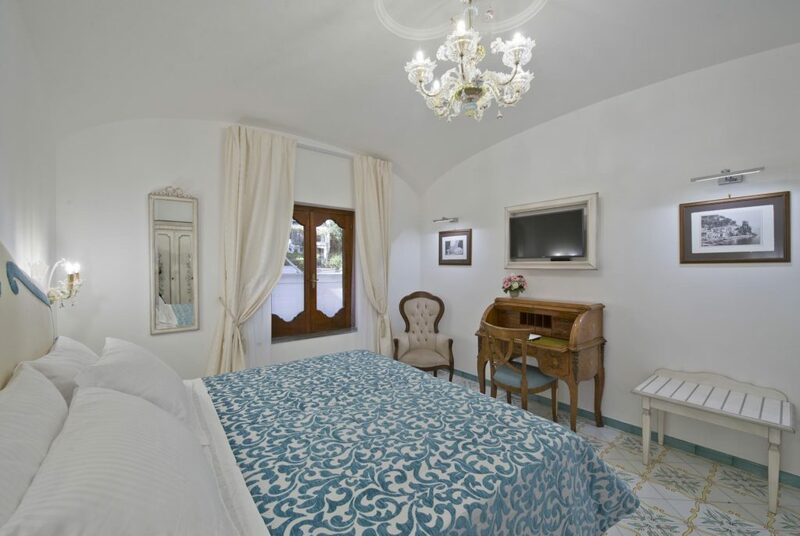 The cozy superior room offers all comforts you will need: a private bathroom, free wi-fi, sat-tv, safe, minibar and air conditioning. 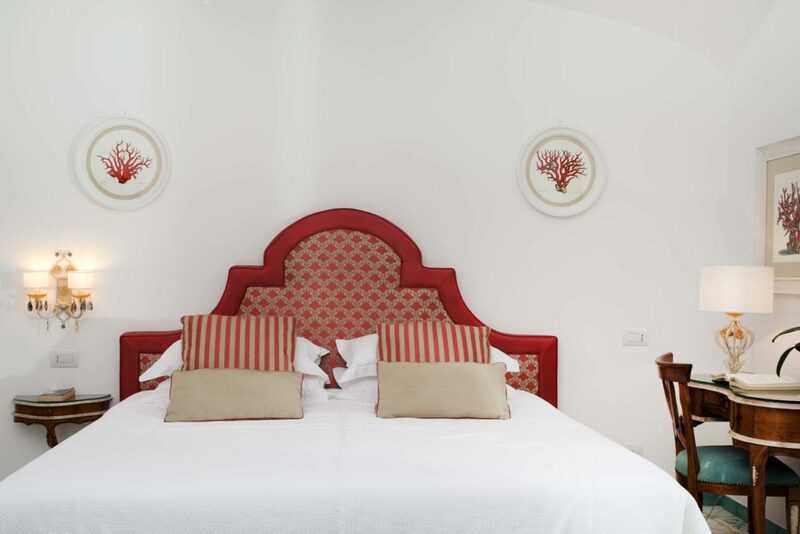 The superior room is elegantly decorated wit hand made furniture. 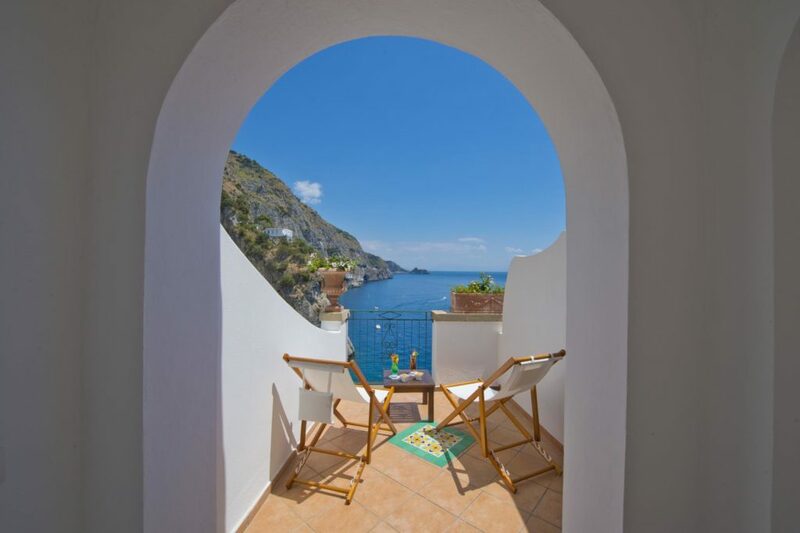 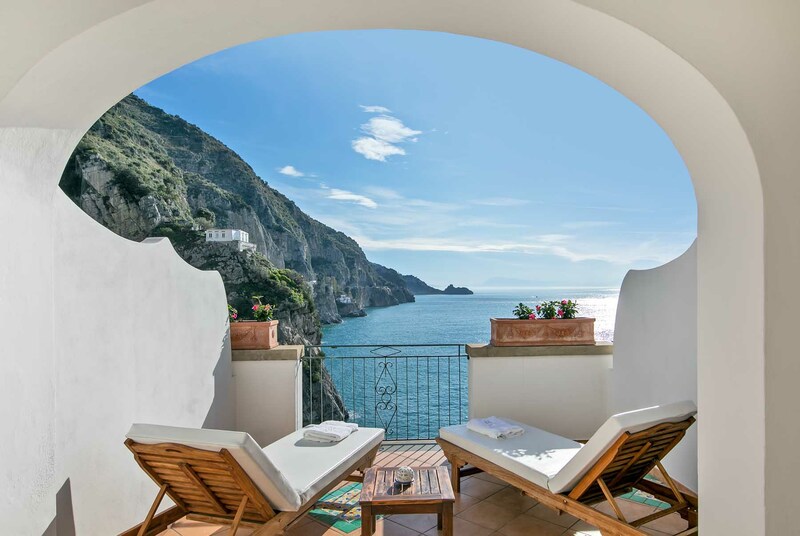 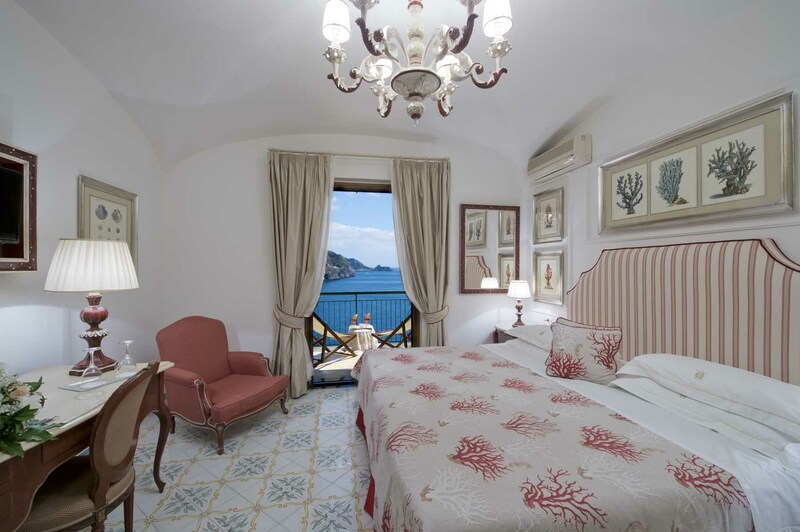 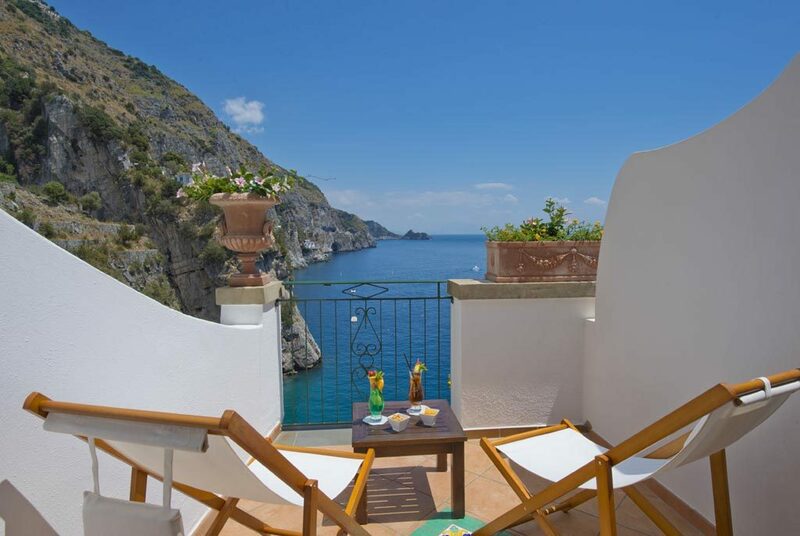 Along with all comforts, it offers a breathtaking view of the Amalfi Coas and the sea from a private terrace 10 meters away from the room. 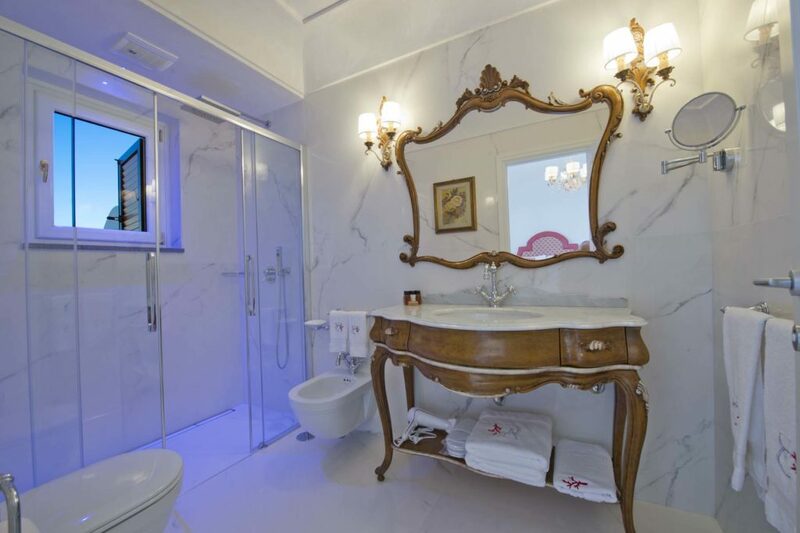 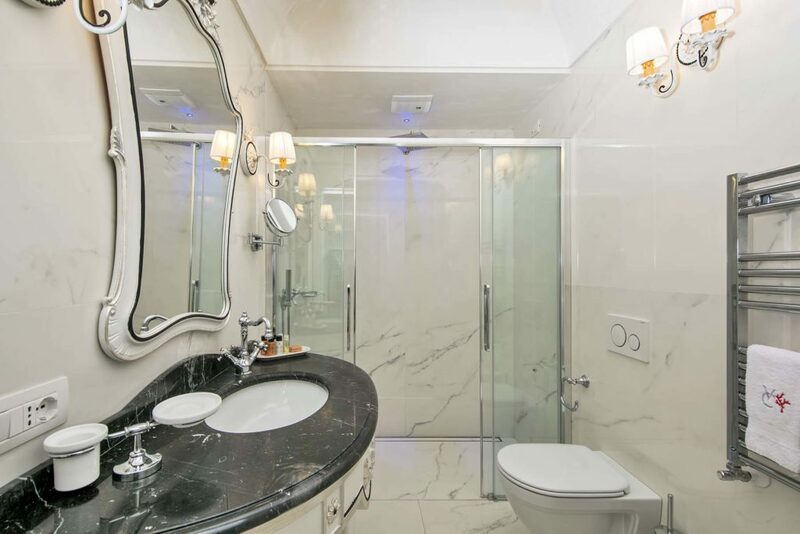 Rooms offer private bathroom, free wi-fi, sat-tv, safe, minibar and air conditioning.